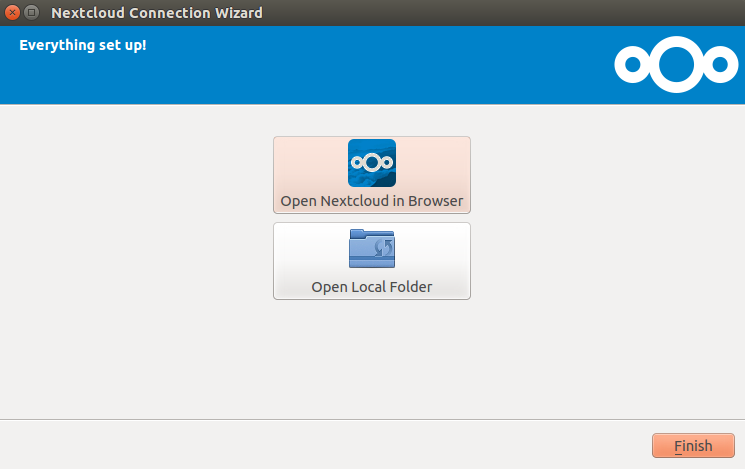 NextCloud is a free, open source and an alternative to another open source file hosting solution OwnCloud. The main difference of NextCloud from OwnCloud is that NextCloud is completely open source. NextCloud is a self-hosted file sharing application server that allows you to store your contacts, pictures and personal documents from a centralized location. NextCloud eliminates your need of using third-party cloud hosting software like Dropbox for storing your documents. Allow us to manage user and group using OpenID or LDAP. Allow us to access, sync and share your existing data on Dropbox, FTP, and NAS. Supports two Factor authentication plugins system. Allow us to share files with other users, create and send password protected public links. Notify you by phone and desktop when someone on server shares files directly with you. Supports monitoring capabilities, full-text search, Kerberos authentication and audio/video conferencing. Synchronize files with the Nextcloud server from Desktop clients and Mobile clients. In this tutorial, we will explain how to install and configure NextCloud on Debian 9. A server running Debian 9 on your system. A static IP 192.168.0.187 address setup on your system. Next, log in with root user and proceed to the next step. 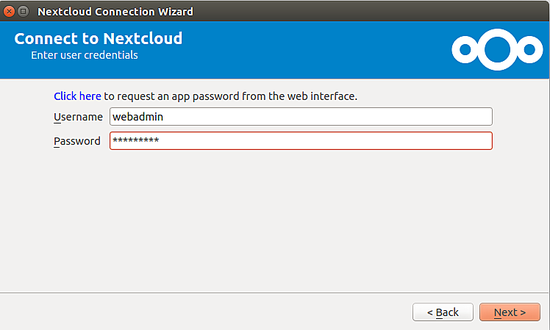 NextCloud runs using Apache, MySQL, and PHP. So you will need to install all these components to your system. Once the installation is completed, you can proceed to the next step. Once your database is setup properly, you can proceed to the next step. Once everything is configured properly, you will need to allow port 80 through UFW firewall. Here, we will install NextCloud client on Ubuntu Desktop and connect it to the NextCloud server. Congratulations! your NextCloud server and Client are installed and configured. 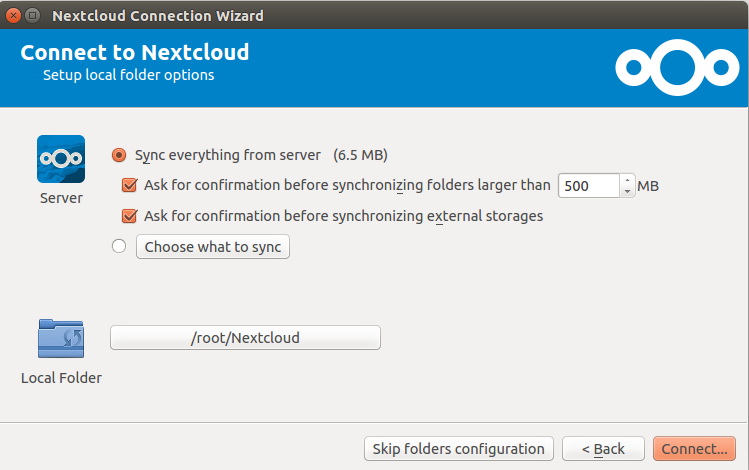 You can now easily sync your data from your local NextCloud client to NextCloud server. Aug 11 14:12:59 ubuntu1604 apache2: Action 'configtest' failed. Aug 11 14:12:59 ubuntu1604 apache2: The Apache error log may have more information. Aug 11 14:12:59 ubuntu1604 systemd: Failed to start LSB: Apache2 web server. Aug 11 14:12:59 ubuntu1604 systemd: apache2.service: Unit entered failed state. Aug 11 14:12:59 ubuntu1604 systemd: apache2.service: Failed with result 'exit-code'. There was an issue in the config file /etc/apache2/sites-available/nextcloud.conf in the tutorial. Please update your file so that it matches the updated tutorial. This doesn't work. "systemctl enable mysql" returns an error. After finishing the installation and navigating to the IP, php information is shown. php does not work for me. have to install apt install libapache2-mod-php7.0 libapache2-mod-php then it works. Thanks! I had the same issue. Installing "libapache2-mod-php7.0" is missing in the tutorial. You open only port 80 in firewall configuration. What about port 22 for SSH and the mariadb port? Why the IP must be set to 192.168.0.187? Can't it be set to something else? You have to use your own IP there instead of 192.168.0.187. Thanks, that was easy, for a basic setup or a demo your guide should be fine. Thanks a lot. CAUTON!! !STEP 4 - Installing der UFW Firewall! Be careful when you do that on a VPS! I also had a VPS and was connected via SSH (Port 22). The next day I wanted to login and I was locked out. It took me several hours to get in touch with my provider and to fix the problem! BE CAREFUL! I followed this tutorial on Debian 9 and it did not work. However, I ended up fixing the whole thing and it works no problems now. Obviously, change the passwords and such to your liking and don't leave them at default. What is this strange obsession with apache webserver? Who still needs it, if you have something like nginx? Except for the wget for the latest.zip which failed with url not found - not because the instructions were incorrect, but the nextcloud download site was uncooperating. 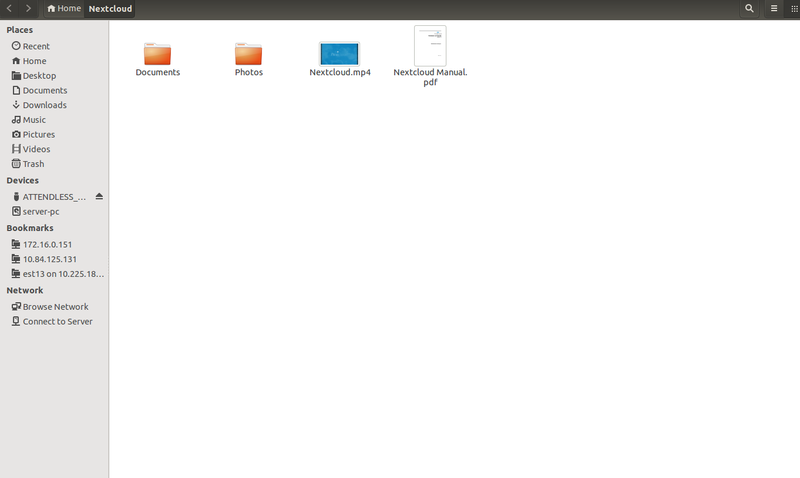 I went to the nextcloud website and manually downloaded the latest bits and continued. Got to the login screen - flawless instructions. Thank you. All instructions worked perfectly, except that it only shows up when typing localhost (127.0.0.1) rather than my configured IP address. After instalation I Have small problem. In the log I see this PHP Error. Otherwise, everything else works well. Nextcloud seems to try to remove a cached css file which does not exist. Might be just a small bug in that nextcloud release. Is there nothing to solve? Is there no danger?